I'm pleased to announce that we introduced the second release on DC in August. Posts in certain groups (e.g. Caché group) now sorted by the recent post (or comment) date and placed in pages. It is better UI than endless scrolling. Now, if you click on Create the Post in a certain Group there would be relevant defaults placed in Group and Tag fields. 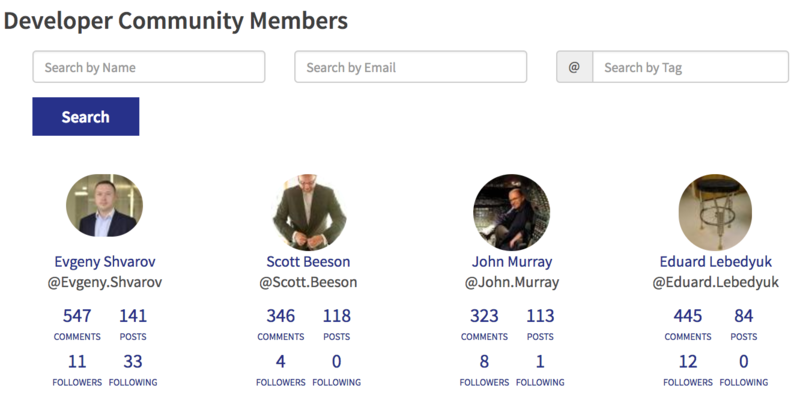 On the new Members page members are sorted by the number of posts made and there are shortcuts to Posts, Comments and Followers. And also you can see and copy/paste the mentioning code to mention a member in your post. To be continued - stay tuned!